Play Connect Four against the computer. Connect four of your discs to each other horizontally, vertically or diagonally. 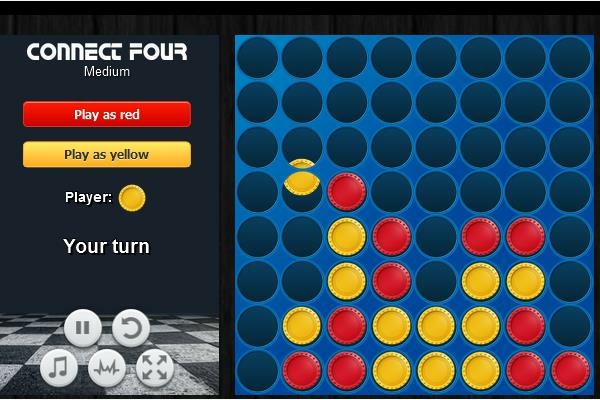 Connect 4 is also known as Find Four, Four in a Row, Four Up and Captain's Mistress.